Welcome and thank you very much for visiting our website. Our mission is to provide complete funeral services to residents of Pleasanton, CA and in the surrounding areas. Our family business includes two funeral homes. We wish to provide you all the information needed for those of you who want to proceed with their own funeral arrangements. However, we are also willing to help those of you who have experienced the grief of losing a beloved one and need specialized help and guidance. Our business philosophy is very simple; we treat all our clients as if there were our own family, so we are going to do everything that is in our power to support them in this difficult time of life. We are happy and thankful for the privilege to ease the pain of grieving families. We offer caring, compassionate and dignified funeral home services for all denominations. We know how hard it is to trust a funeral home and director you've met for the first time to help you take care of a loved one. However, we've been in the funeral service for such a long time that we built a solid reputation here at Fremont Memorial Chapel. All our funeral services are carried out with dignity and the highest quality level of care possible. We take pride in the meticulous attention our funeral directors give to each and every detail of the ceremony, right from the first contact with the family. Fremont Memorial Chapel provides complete funeral services, starting with graveside burial ceremonies to cremation to Indian Funeral Services or Catholic traditional services and to all other details of a proper funeral ceremony. We also provide funeral shipping services. Fremont Memorial Chapel is proud to provide you a compassionate, caring and professional funeral service for the residents in Pleasanton CA. Our funeral directors are committed to assist you, so please, don't hesitate to contact us for more details concerning your personal wishes. Both our locations are able to take care of pre-arranged funerals, if desired. We have a special service, catering to those of you who want to have all their funeral arrangements made and paid for in advance. 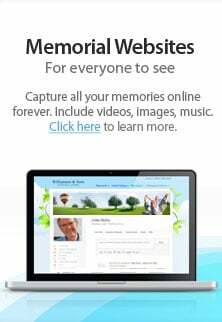 If you are interested in this, the Fremont Memorial Chapel Pre-Payment Funeral Plan is exactly what you need to gain the peace of mind that everything is going to be perfect when you need us. Your beloved ones won't have to deal with the details of organizing the funeral ceremony, as we are going to take care of everything just as agreed with you. This will ease their burden and allow them to comfort and support each other in such a hard time. The biggest advantage of a pre-payment plan over a savings account or life insurance policy is that you can lock in today's prices, regardless of time of passing. Your family isn't going to get in financial difficulty, as everything is going to be paid for you in advance. If you want to know more about this service, please contact us today.